Valentina’s research addresses several key areas of sustainable development: sustainable tourism, with particular focus on nature-based tourism and island tourism; nature protection and enhancement; renewable energy and energy efficiency in the context of climate change mitigation; and water management. In these areas she is particularly interested in policy and governance evaluation studies; behavioural approaches for policy instruments’ design; policy implementation processes, outputs and outcomes; conflict resolution mechanisms; investor perspectives with respect to green technologies and sustainability practices, and mechanisms of innovation adoption and diffusion; and the regulation and management of tourism and recreation in protected areas (particularly with respect to tourism concessions). Valentina is Associate Professor in Public Policy and Sustainability. She has joined the School of Government in 2009 after six years as Senior Research Fellow at the Center for Clean Technology and Environmental Policy, University of Twente, The Netherlands. Many of her publications draw on research grants from local, regional and national European governments, and European Union research funds. She has been teaching on a wide range of topics, since 1999 (in The Netherlands, in New Zealand, and as invited lecturer in Austria, Belgium, China, and Romania, in Summer School programmes): governance for sustainability and resilience; environmental policy; sustainable tourism; Protected Area governance; renewable energy policies; policy analysis: theory and methods; participatory policy processes. 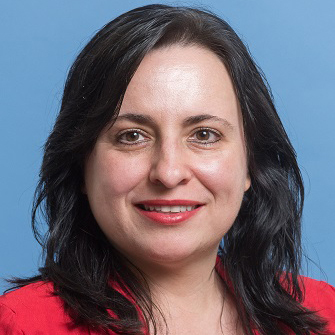 Valentina is a member of the Editorial Board of the International Journal of Sustainable Society and serves in the Reviewer Committee of the BEST-EN international academic network ‘Building Excellence for Sustainable Tourism – an Education Network’. Since 2017 Valentina is a member of the Tourism and Protected Areas specialist group of the World Commission for Protected Areas, of the International Union for the Conservation of Nature; as well as a member of the New Zealand Political Studies Association. Dinica, V. (2016). “Protected Areas: How will they contribute to third millennium challenges”, in special issue edited by V. Dinica ‘Protecting nature: governing human – nature relationships for the future, Policy Quarterly 12(1): 50-59. New Zealand. Available at: http://igps.victoria.ac.nz/publications/PQ/2016/PQ12-1-Dinica.pdf . Dinica, V. (2015). Understanding the role of behavioral change mechanisms in water resource conflicts - lessons from The Netherlands. International Journal of Sustainable Society 7(3): 241-265. Dinica, V. (2014). Competing societal and ecological demands for groundwater: boundary judgments and convergence mechanisms. Environment, Development and Sustainability, 16: 555–573. (Q2 journal ranked 176/587 in the Geography, Planning and Development’ list of SCImago). Dinica, V. (2010). Wind technology: a framework for the evaluation of innovations’ impacts on the diffusion potential. Sustainability 2(3): 757-782. (Q2 journal ranked 176/587 in the ‘Geography, Planning and Development’ list of SCImago). Vinke-de Kruijf, V. Dinica, and D.C.M. Augustijn. (2009). Reorganization of water and waste water management in Romania: from local to regional water governance. Journal of Environmental Engineering and Management 8(5):1061- 1071. Bressers H. and V. Dinica, (2009). Incorporating sustainable development principles in the governance of Dutch domestic tourism: the relevance of boundary judgments. Journal of Environmental Engineering and Management 8(5): 1111-1120. Dinica, V. (2008). Greening electricity production in Spain: a success story of multi-level governance convergence and innovation. Wiley Interdisciplinary Reviews: Energy and Environment 19(6): 787-801. (Q2 journal ranked 37/84 in the ‘Energy’ list of SCImago). Dinica, V. (2006). Support systems for the diffusion of renewable energy technologies – an investor perspective. Energy Policy, 34(4), 461-480. (Q1 journal ranked 6/84 in the ‘Energy’ list of SCImago). Dinica, V. (2006). Policy measures and governance for sustainable tourism and recreation in the Netherlands – an evaluation. Tourism - An International Interdisciplinary Journal, 54(3), 190-208. Arentsen, M. J., and Dinica, V. (2001). Innovating Innovation Policy. Rethinking green innovation policy in evolutionary perspective. Revue Économies et Sociétés Série, 6(4), 563-583. Lund-Durlacher, D., Dinica, V., Reiser, D. and Fifka, M. (Eds; forthcoming, 2018). Corporate Sustainability and Responsibility (CSR 2.0) in Tourism. Springer. Dinica, V. (2003). Sustained diffusion of renewable energy – Politically defined investment contexts for the diffusion of renewable electricity technologies in Spain, the Netherlands and United Kingdom. Enschede: Twente University Press. The Netherlands. Dinica, V. (forthcoming 2018). “CSR 2.0 - do tourism businesses promote sustainability through policy design?” in Lund-Durlacher, D., Dinica, V., Reiser, D. and Fifka, M. (Eds.). Corporate Sustainability and Responsibility (CSR 2.0) in Tourism. Springer. Dinica, V. (forthcoming 2018). “Protected Area restoration and management – an early assessment of tourism concessionaires’ views on policies invoking corporate responsibility” in Lund-Durlacher, D., Dinica, V., Reiser, D. and Fifka, M. (Eds). Corporate Sustainability and Responsibility (CSR 2.0) in Tourism. Springer. Dinica, V. (2010). “Corporate Interests and Spanish Wind Power Deployment” in Wind Power and Power Politics, eds. P. Strachan, D. Toke and D. Lal. Routledge. New York.ISBN: 0415961300. Dinica, V. (2009). Sustainable tourism development on Curacao – the challenge of adopting legal instruments. In L. Lakshmi (Ed.) Tourism and Law: Cross Country Perspectives, Icfai Books, India. Dinica, V. (2006). Sustainable tourism development on Curacao – the implementation challenge. In C. A. Brebbia & F. D. Pineda (Eds. ), Sustainable Tourism (Vol. II, pp. 181-192). Southampton, United Kingdom: Witpress. Dinica, V., & Bechberger, M. (2005). Renewable Energy Policies in Spain. In D. Reiche (Ed. ), Handbook of Renewable Energy Policies in the European Union - Case Studies of All Member States. Frankfurt am Main: Peter Lang Publishing Group. Dinica, V. & de Lovinfosse, I. (2004). Between Success and Failure: Renewable Electricity Policies in the Netherlands. In I. de Lovinfosse & F. Varone (Eds. ), Renewable Electricity Policies in Europe – Tradable Green Certificates in Competitive Markets (pp. 301-358). Louvain-la-Neuve, Belgium: Presses Universitaires de Louvain. Dinica, V. & Arentsen, M. J. (2003). Energy Production for Sustainability in the European Union: Reconciling Different Scales of Governance. In H. T. A. Bressers & W. Rosenbaum (Eds. ), Achieving Sustainable Development: The Challenge of Governance Across Social Scales. Westport, CT: Praeger Publishers. Dinica, V. (2003). Renewable energy policy in Romania. In D. Reiche (Ed. ), Handbook of Renewable Energy Policies in Central and Eastern European Countries. Frankfurt am Main: Peter Lang Publishing Group. Dinica, V. (2002). Energy policies for CO2 emissions reduction. In A. Yotova (Ed. ), Encyclopedia of Life Support Systems (Vol. Natural resource system challenge II – Climate change, human systems and policy). Oxford, UK: EOLSS Publishers. Dinica, V. (2002). Policies for renewable energy support in the United Kingdom. In D. Reiche (Ed. ), Handbook of Renewable Energies in the European Union - Case Studies of All Member States. Frankfurt am Main: Peter Lang Publishing Group. Dinica, V. (2017). “Institutionalizing Corporate Environmental Responsibility for Protected Area businesses: behavioural perspectives on policy settings and implementation”, accepted to be presented at the biannual conference of the International Public Policy Association, Lee Kuan Yew School of Public Policy (NUS), in Singapore, 27-30 June 2017. Dinica, V. (2017). “Public interest and Protected Area governance: approaches to citizen and corporate engagement in New Zealand” accepted to be presented at the biannual conference of the International Public Policy Association, Lee Kuan Yew School of Public Policy (NUS), in Singapore, 27-30 June 2017. Dinica V. (2016). “Tourism businesses and sustainability – a framework to evaluate policy engagement options and case studies from New Zealand” presented at the NZ Tourism & Hospitality Research Conference & Halal Marketing & Tourism Research Symposium Tuesday 29 Nov 2016 to Friday 2 Dec 2016, Christchurch, New Zealand, 29 Nov 2016 - 02 Dec 2016. School of Business and Economics, University of Canterbury, Christchurch, New Zealand. Dinica, V. (2016). “Volunteering and donations for biodiversity conservation: an exploration of the factors influencing tourism businesses in New Zealand". Presented at BEST-EN Think Tank XVI: “Corporate Responsibility in Tourism - Standards, Practices and Policies” held in Berlin – Eberswalds, at the Eberswalds University for Sustainable Development, 12-15 July 2016. Dinica, V. (2016). “Influencing sustainability through engagement in policy processes - tourism businesses as policy stakeholders". Presented at BEST-EN Think Tank XVI: “Corporate Responsibility in Tourism - Standards, Practices and Policies” held in Berlin – Eberswalds, at the Eberswalds University for Sustainable Development, 12-15 July 2016. Dinica, V. (2011, 25-29 September). “Renewable Electricity Production Costs – A Framework to Guide Policy Makers’s Decisions on Price Support”, Conference Proceedings of the 6th Dubrovnik Conference on the Sustainable Development of Energy, Water and Environmental Systems, Croatia 25-20 September 2011. Editors M. Ban, N. Duic and Z. Guzovic. ISBN 978-953-7738-12-9. Dinica, V. (2011, 25-29 September). “Shifting (regional tourism on a sustainable path: experiences and dilemmas of a Caribbean island”, Conference Proceedings of the 6th Dubrovnik Conference on the Sustainable Development of Energy, Water and Environmental Systems, Croatia 25-20 September 2011. Editors M. Ban, N. Duic and Z. Guzovic ISBN 978-953-7738-12-9. Dinica, V. (2008, 2-5 December). Sustainable tourism governance: international recommendations and stakeholder perceptions in the Netherlands. Double refereed paper presented at the International Conference Re-creating Tourism in the 21st Century, University of Lincoln, Hanmer Springs, New Zealand; in Conference Proceedings. Dinica, V. (2007, 17-21 October). Reshuffling governance boundaries for the sustainable development of tourism and recreation. Peer-reviewed academic paper presented at the Tourism With(out) Borders Conference, organized by the Tourism and Travel Research Association (TTRA) Chapter Canada, in Charlottetown, Prince Edward Island, Canada. In Conference Proceedings ISBN: 0973069708. Dinica, V. (2006, 6-9 June). The role of European Union in a sustainable European tourism. Peer reviewed academic paper presented at the Cutting Edge Research in Tourism Conference, University of Surrey, United Kingdom, Guildford. In Conference Proceedings ISBN 1844690121. Bressers, H. and V. Dinica. (2009). Incorporating sustainable development principles in the governance of Dutch domestic tourism: The relevance of boundary judgments. Paper presented at the 5th International Conference Environmental Engineering and Management (ICEEM 05): Sustainable production and consumption, 15-19 September 2009, Tulcea, Romania. Vinke-de Kruijf, J. and V. Dinica (2009). Reorganization of water and waste water management in Romania: from local to regional water governance. Paper presented at the 5th International Conference Environmental Engineering and Management (ICEEM 05): Sustainable production and consumption, 15-19 September 2009, Tulcea, Romania. Dinica, V. (2008, 21-25 October). Sustainable tourism in developing islands: lessons from the political and institutional challenges in Curacao. Paper presented at the international conference “bridging the North-South Divide through Sustainable Tourism Development, 1st IIPT European Conference for Peace through Tourism hosted by Stenden University, Leeuwarden, Netherlands. Dinica, V. (2008, February 21st). The contribution of public-private partnerships to wind power diffusion in Spain. Paper presented at the Seminar “Explaining national variations in wind power deployment”, at the Aberdeen Business School. Aberdeen, UK. Dinica, V., Bressers, H. (2008, 11-14 March). How to govern for sustainable tourism? An evaluation of the Dutch governance approach to sustainability. Paper presented at the EASY-ECO Conference Vienna. Bressers, H., Dinica, V., (2008, 21-22 August). Incorporating sustainable development principles in the governance of the Dutch domestic tourism sector: political and policy challenges. Presentation at the conference Creating Values for Sustainable Development, University of Basel, Switzerland. Dinica, V. (2008). Challenges for Sustainable Tourism Governance, presented at the Annual Conference SWOME held by the Dutch Ministry for Environment, Spatial Planning and Housing, 11 March 2008, The Hague, in Conference Proceedings: A different role for the Government, pp. 59-64, ISBN: 978-90-6464-233-3. Dinica, V. (2006, 25-27 May). Implementing sustainable tourism measures in the Netherlands Antilles – successes and failures. Paper presented at the Sustainable Tourism with Special Reference to Islands and Small States, Malta. Bressers, H., T. de Bruijn and V. Dinica (2006, July 2-5) Integration and communication as central issues in Dutch negotiated agreements on industrial energy efficiency, paper presented at the 13th International Conference of the Greening of Industry Network “Integration and Communication: A Clear Route to Sustainability?”, Cardiff, CSTM-Series nr. 263, pp. 1-19. Dinica, V., Bressers, H., & de Bruijn, T. (2005, June 6-8). The implementation of a multi-annual agreement for energy efficiency in the Netherlands. Paper presented at the 11th Annual International Sustainable Development Research Conference, Helsinki, Finland. Dinica, V. (2005, 14-19 April). Investigating the implementation of EU instruments: a framework for the comparison of national structures and processes. Paper presented at the European Consortium for Political Research - Joint Sessions in Workshop 4. Making EU policy work: national strategies for implementing, postponing and evading EU legislation. Granada, Spain. Dinica, V. (2005, 19-20 September). Sustainability in the Dutch recreation and tourism sector: actions, approaches and prospects for sustained improvements. Paper presented at the SMIA05, 2nd International Congress with Innovation Fair, "Sustainable management in action" University of Geneva. Switzerland. Dinica, V., & Bressers, H. (2004, 7-11 November). Partnerships in implementing sustainability policies – theoretical considerations and experiences from Spain. Paper presented at the Greening of Industry Conference, Hong Kong. ISBN 962-7589-25X. Dinica, V. (2004, 18-19 June). The evolution of national policy implementation structures under the Europeanization of policy-making. Paper presented at the 2004 Plenary Conference of the European Political Science Network, Prague. Check Republic. Dinica, V., & Bressers, H. (2003, 30 November - 5 December). The Implementation of Renewable Energy Policies: Theoretical Consideration and Experiences from Spain, The Netherlands and The United Kingdom. Paper presented at the RIO 3 - World Climate & Energy Event, Rio de Janeiro, Brazil. ISBN: 85-902710-2-1. Dinica, V. (2002, 29 June - 5 July). Support systems and the sustainability of market diffusion processes for renewable energy technologies. Paper presented at the World Renewable Energy Congress VII, Köln, Germany. In Conference proceedings, Elsevier. Dinica, V. (2001, 2-5 April). Consequences for wind technology diffusion under different configurations of tradable green certificate systems. Paper presented at the Global Windpower Conference, Paris, France. In Conference proceedings, Elsevier. Dinica, V. (2001, 8-12 September). The sustainability of alternative economic-policy systems for the support of market diffusion of renewable electricity technologies. Paper presented at the International PhD Workshop on Economics, Innovation, Technological Progress and Environmental Policy, Seeon. Germany. Dinica, V., & Arentsen, M. J. (2000, 17-19 March). The greening of electricity supply: political ambition in a market environment. Paper presented at the 2nd joint meeting of Political Science/University of Florida and CSTM/University of Twente „The politics of sustainable development: Institutions Across Social Scales?, Gainsville, Florida. Dinica, V. (1997, June). The Cooperation Regime for the Protection of Black Sea. Paper presented at the International Environmental Cooperation in Theory and Practice: Concepts, Methodology and Case Studies, Linkoping, Sweden. Dinica, V. (2009). Sustainable development and groundwater use: the role of boundary judgments, institutional objectives and convergence mechanism in Overijssel, Netherlands. Deliverable to the EU Project 043199 Integrative Systems and the Boundary Problem. Report presented at the Annual Workshop EU-ISBP in Castellaneta Marina, Bari, Italy, 15-17 June 2009. Enschede: CSTM, University Twente, CSTM Series Studies and Reports Nr 340. ISSN 1381-6357, pp. 1-153. Dinica, V (2008). The role of boundary judgments in the governance and sustainability performances of the electricity sector in Spain, Report delivered for the EU Project 043199 Integrative Systems and the Boundary Problem. Report presented at the Annual Workshop EU-ISBP in Kiruna 15-18 January 2009, Sweden. Enschede: CSTM, Universiteit Twente, CSTM Series Studies Nr. 339, ISSN 1381-6357, pp. 1-51. Dinica, V. (2007). Reshuffling governance boundaries for the sustainable development of tourism and recreation. The role of boundary judgments. Deliverable to the EU Project 043199 Integrative Systems and the Boundary Problem. Report presented at the Annual Workshop EU-ISBP in Sigtuna 15-18 November 2007. Enschede: CSTM, University Twente, CSTM Series Studies and Reports No. 325, ISSN 1381-6357, pp. 1-100. Dinica, V. (2007). An institutional analysis of flood prevention and management issues applicable to the Teleorman county, Romania. Final Report in the framework of the “Partners for Water” program, project “Flood defense in the Calnistea basin of Teleorman, Romania”. Enschede: CSTM, University Twente, CSTM Series Studies and Reports Nr. 321, ISSN 1381-6357, pp. 1-129. Dinica, V. (2007). An institutional analysis of water management issues in the Teleorman county, Romania. Report to the Province of Overijsel. Enschede: CSTM, University Twente. CSTM Series Studies & Reports nr. 321, ISSN 1381-6357, pp. 1-61. Dinica, V., T. Kadiman, Y. Krozer, and M. Lordkipanidze (2006). Green Paper on Income Generation and Tourist Mobility in National Parks. Final report for the EU project Mobility and National Parks, Interreg IIIB, North Sea Programme. Cartesius Institute, Netherlands, pp. 1-54. Dinica, V. (2006). Sustainable tourism in protected nature areas: financing biodiversity conservation. report for the EU project Mobility and National Parks, Interreg IIIB, North Sea Programme. Cartesius Institute, Netherlands Enschede: University Twente, CSTM Series Studies Nr. 258, ISSN 1381 6357, pp. 1-34.
de Bruijn, T., Bressers, H., & Dinica, V. (2004). Evaluation of the Multi-Annual Agreements for Energy Efficiency in Dutch Industries – Efficiency and Effectiveness (Part B Final Report), commissioned by the Dutch Ministry for Spatial Planning and the Environment. Enschede: CSTM, University Twente, CSTM Series Studies Nr. 213, ISSN 1381-6357, pp. 1-82. Media release by VicNews: ‘Protected Area Tourism Needs Changing For Biodiversity’s Sake’, at https://www.victoria.ac.nz/news/2017/07/governance-of-protected-area-tourism-needs-changing-for-biodiversitys-sake) which raised media interest.